Stop number 3; the final destination. 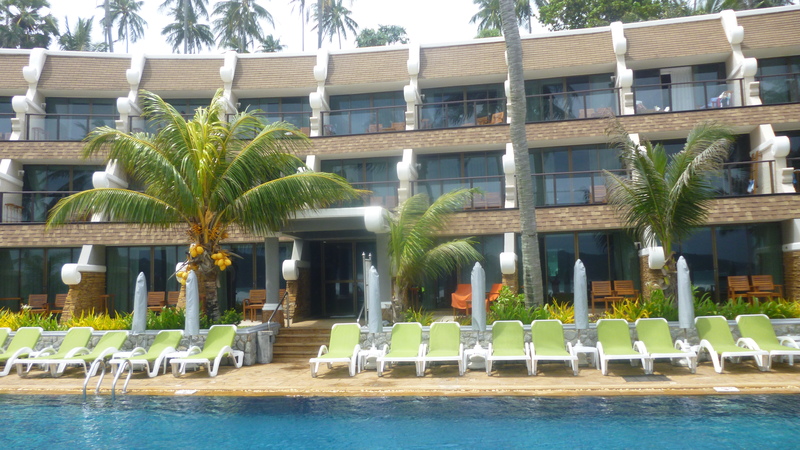 We wanted our last stop to be in a place where the agenda was full of relaxation, and so we found Phuket. I was told by a friend that Phuket was the Hawaii of Thailand. Sounds so enticing, so off we went. Still on a high from Chiang Mai, I was optimistic, but I set my expectations low. The Hawaii of Thailand could not be better than what we experienced in Chiang Mai. Maybe I’d be wrong. As we arrived at the airport and walked to the exit, it was hectic. I’m not famous, but I felt like I was. The flashing of the paparazzi cameras replaced with a chorus of “where you going,” and “taxi…you need a taxi.” It felt like there were 30 people around us hoping we’d choose them from a ride. The P.I.C yelled “easy,” to get them to back off a bit, which they then used to mock us. Not off to a good start. But alas, we made our way to the taxi stand (the one I read was the legit stand), and after a minute or two, we were on our way….or so I thought. About two minutes into the ride, we made a stop. She’s back to her old tricks again, I thought. The taxi driver hopped out, and a young lady approached the cab and motioned for us to open the door. Brochures in hand, she asked us if we were interested in any excursions. I had heard about this, and from what I read, I knew that we’d be here for awhile, though the legit taxis weren’t supposed to do this. I looked at her and smiled, and said we planned on relaxing the entire time, and had no interest in doing anything. To my surprise, she smiled back and said thank you…enjoy your trip, and that was it. We were off again toward the hotel. My main concern now was the increasing number on the meter. What I expected but still more than I wanted to pay. The hotel was a regular looking beachfront hotel. No standout character, but who needs that when you open your door and the ocean is in your face. She was quiet most of the way, but there’s is where I heard her loud and clear. The water went all the way to the horizon, and even though the water was much to rough for most swimmers, she was beautiful to look at. To hear her waters crash against the waves was soothing, though the roar reminded me that these same waters took so many lives in the Tsunami in 2004. As I said, my expectations were low, and since this was her vacation spot, the food was average though more expensive than most other places. I guess most who visited her here were not looking for so much of an authentic experience. They wanted nice water, and excursions; one which we ventured out on. Here she gave me a first…I jumped off a boat into the waiting waters. The water wasn’t the clear blue kind that some have mingled with in the Caribbean, but more of a cloudy green (not anything like the Jersey water either). It felt great, and it’s saltiness made for good floating water, if you’re into that stuff. On this excursion, she showed me secluded areas where there was only one way in and out. She showed me caves which we explored with flashlights, James Bond Island, and an entire town built over the water, secluded from the mainland. It had shops, homes, fishing boats, a restaurant, and a school. All powered by a generator, that I believe is shut off by a certain time at night. Apparently it’s really expensive to run at all. Most interesting was that most people here were not itching to go to the mainland. They had to if they wanted to finish school, but most came back. This was her example of how life could be so simple, and still so fulfilling. It was the rainy season, and she held back for most of the trip, but here in Phuket, she showed me what that meant. I like to see it as her way of crying for me before I left. As that day approached, it was sad. We had a few moments where all we did was sit there in the silence, enjoying each others company. But it did have to come to an end. The alarm would ring at 4:15 am, and we had to say our goodbyes. Her last gift to us, in the form of a boxed breakfast from the hotel. I’ve never seen that before, but it was a nice farewell gesture. She didn’t want us to leave, so I suspect she somehow delayed our flight by an hour and a half. But we eventually boarded, took off, had our last look at her, and closed the airplane window shade. As I look back on and recap the affair, I realize there’s a really good feeling that resides in me. She wasn’t the prettiest, or the nicest. Her personality sometimes made her seem unstable, but she reminded me of something. Something that is all too cliche, but ignored by so many, me included. Something that I hope doesn’t leave me as I get back into the routines of my established relationship with my home country. She reminded me that life is all about living it; not just being present. Soaking in the good and the amazing, and learning from the bad and the ugly…and to smile, because it really does make others smile with you. And if it doesn’t, well, it makes me feel good. I hope you enjoyed this affair…this journey. Shout out to the P.I.C for also making this trip as memorable as it was. This entry was posted in Inspirational, Life, Story, travel, Vacation and tagged new countries, new experiences, story, travel, travel abroad, vacation on July 21, 2014 by gtwhitfield. The bitter taste of Bangkok still lingering, me and the P.I.C advanced our affair with Thailand, and moved on to Chiang Mai. The promise of seeing the “real” Thailand was a major driving force in moving our affair up north. However I was skeptical that this relationship would actually go anywhere now. She was as superficial and money hungry as any other affair I had been a part of, and she was not apologetic. As I look back, I likely was a bit too harsh in my judgement. My adjustment to her timezone, her way of talking, and her way of interacting probably had as much to do with my impression as did the unseemly characters. It makes me wonder, what damage had her past lovers done to make her so cold…but I digress. Our arrival in Chiang Mai was uneventful. Our walk through the airport and eventual ride in the cab was as plain as vanilla ice cream. When suddenly, a glimmer of hope reared its head. She showed me the most beautiful place to stay. 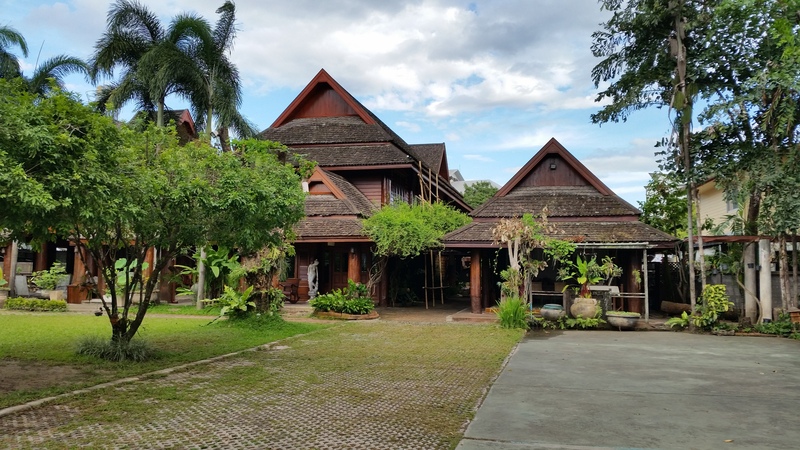 Chiang Mai offered your standard hotels and backpacker paradises, but this place was neither. It was called Ruen Come In, and it’s style was considered lanna style, and was decked out in all wood. Quaint and private, it had reflections of a B&B, but offering much more privacy to the guests. Shoe removal when walking on any indoor surface, or outdoor surface leading to a room, was required and added to the charm. I didn’t want the same ole same ole….or “same same,” as I saw written so many places, and this was far away from familiar for me. She made me smile, but I was cautious. We walked through the town, and our first encounter was with a man trying to sell tickets to a Muay Thai fight, and I thought, “here we go again.” Another scam. Though genuinely interested, we held off on purchasing, and I immediately realized that he actually didn’t push too hard, if at all. This was followed by an individual who showed interest in us while we looked over a map…his interest was that he only wanted to point us in the right direction. We had a decent dinner while watching people come and go, and ended up at a nice little spot where a live band was playing. They were quite good, I might add, and the people watching was just perfect. As we lay that night, I had hopes that our relationship would continue to improve. With a visit to the Elephant Nature Park (ENP), it had to. The visit to ENP showed me just how compassionate, patient, and dedicated one person could be. The love I saw given to these creatures was just amazing, and unlike anything I had seen up close and personal before. I saw personable animals that had awesome size, and such grace. Powerful in their movements, but gentle as they took food out of our hand. Seemingly disinterested as we doused them with water, but stood still because they knew we were happy and well…they had food and they were genuinely happy. I learned so much, and I am so thankful that I was able to experience firsthand. And this is where it started to happen. This is where I began to fall in love with her. This was followed by another nice dinner on the river, where the loud sounds of club music played in the background. I saw her younger side, and how she liked to party. There was a cover band, and plenty of 20-somethings singing along, and throwing back liquor. We explored the city on bicycles and witnessed amazing consideration. The traffic was chaotic, but there was rhyme and reasoning, even if I didn’t understand it. Oh the difference a city makes. Bangkok was uncomfortable, but Chiang Mai slipped on like a nice pair of old sneakers. She embraced me and made every other moment of my trip worth while. This here, was the land of smiles. They were genuine, and wider when I initiated. I wasn’t ready to leave here. We had much more to share with each other, but an affair is only temporary, and with limited time, we needed to move on. If only I could have sat in her embrace, in this beautiful city up north, a little longer. But alas, we must go…onward the island. This entry was posted in Life, Rant, Story, travel, Uncategorized, Vacation and tagged culture, love story, new experiences, overseas, Thailand, travel, vacation on July 17, 2014 by gtwhitfield.